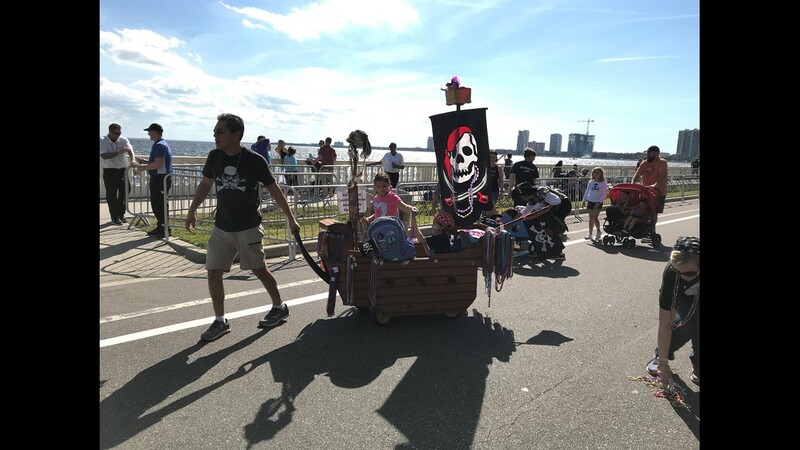 Parents turned strollers into pirate galleons to steer their youngsters around Bayshore Boulevard. 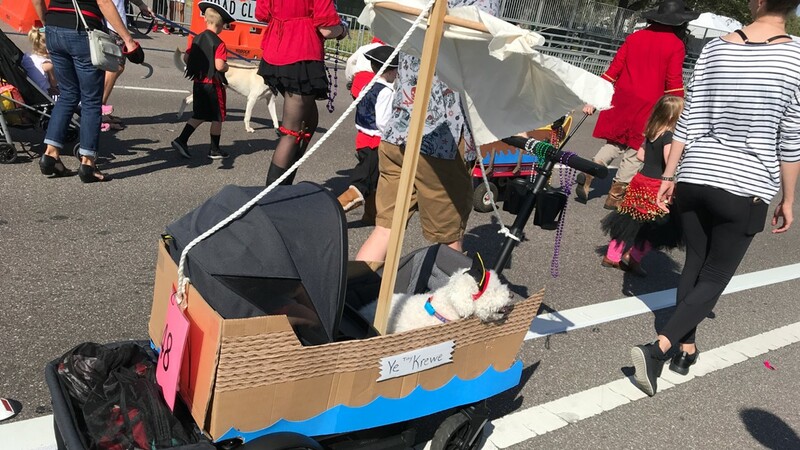 As thousands of pint-sized pirates hunted for beaded treasure and prepared to seize the Bay during the Gasparilla Children’s Parade, parents put extra effort into pushing their kids around in true Buccaneer style by creating makeshift pirate ships out of children’s strollers and wagons. 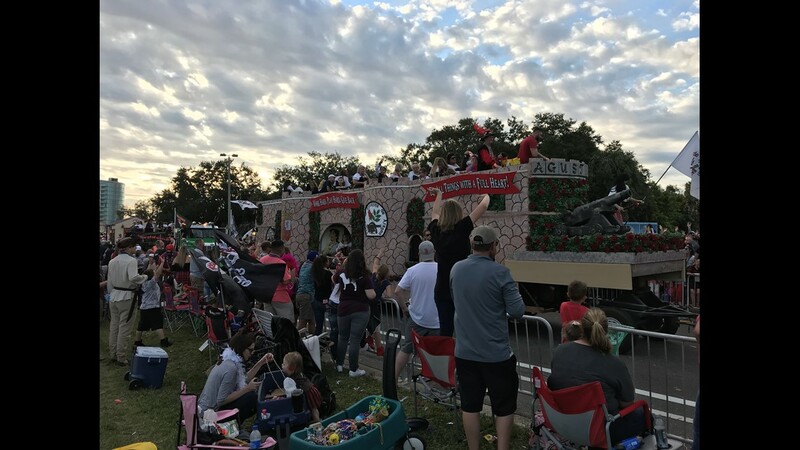 Swezey said it took him about three weeks to build the mini-ship-on-wheels. 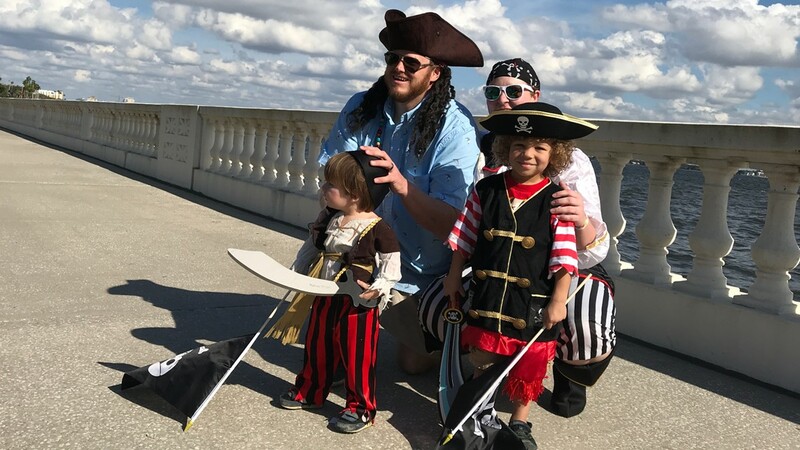 Dimara Vega’s 8-month-old son Nicholas is too young to understand the Gasparilla hype, but his parents decked him out in pirate gear nonetheless, and also made sure he strolled in style. 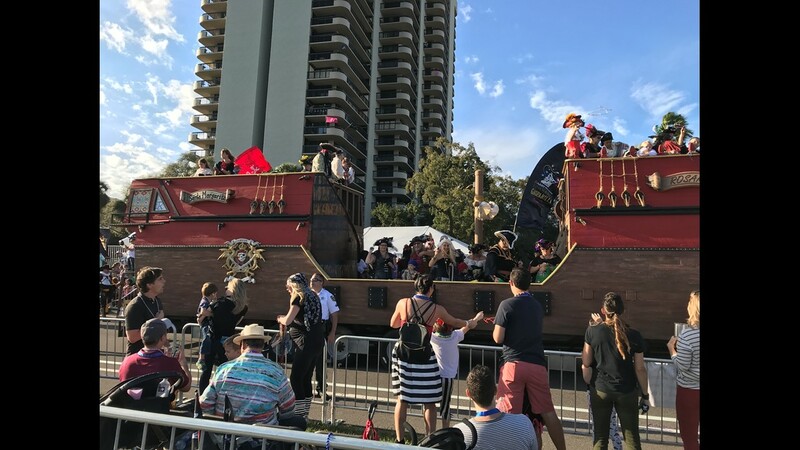 Vega said her husband took about three days to turn Nicholas’ stroller into a pirate ship. "It was like super homemade. He took pictures of us when I was preggo,” she said." And then he built it each step with cardboard from the supermarket." 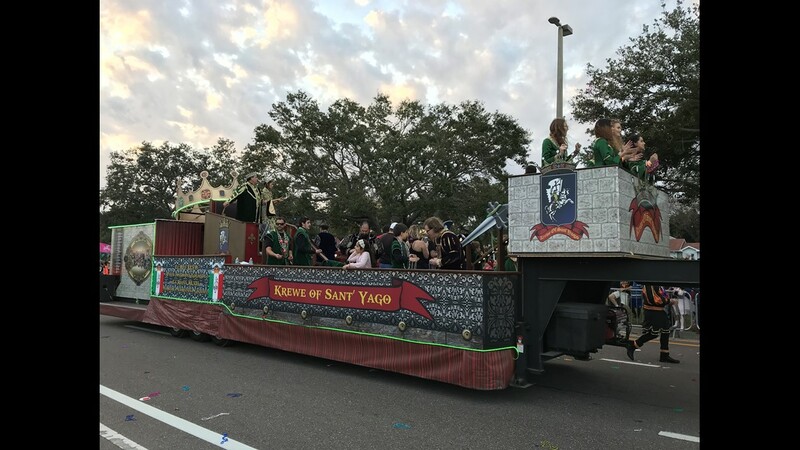 Yet, whether it was a homemade float or one made by the pros, Tampa police were watching them all very closely. “We have hundreds of police officers out here. It's such a great event, and the crowd cooperates. 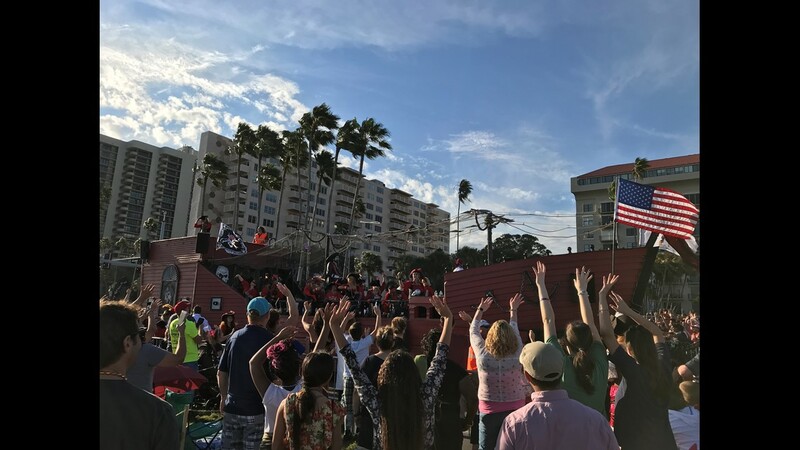 But we're just asking that people be flexible, pay attention to what's going on,” said Tampa Police Chief Brian Dugan. 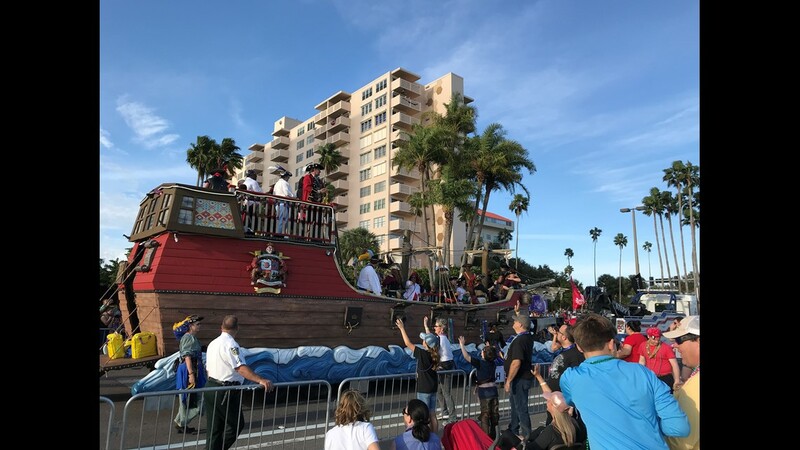 Dugan said the Children’s Parade helps TPD prepare for next week’s pirate invasion and parade, which is on a much larger scale. 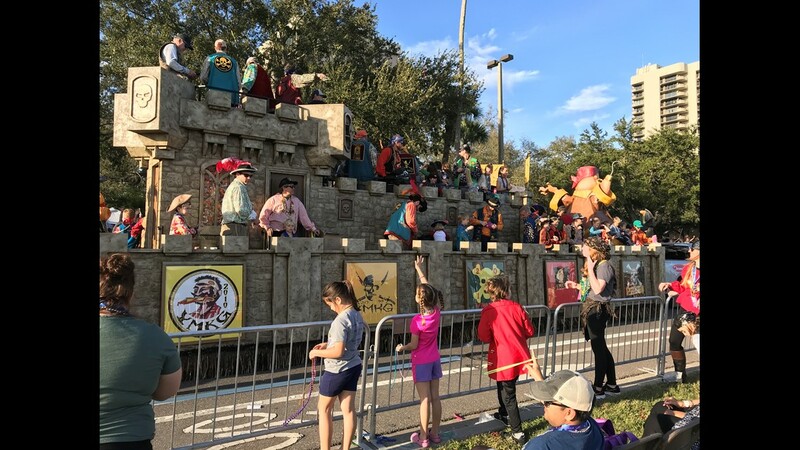 There will be a strong security presence at those festivities, but Chief Dugan asks parade-goers to do their part in maintaining safety as well. 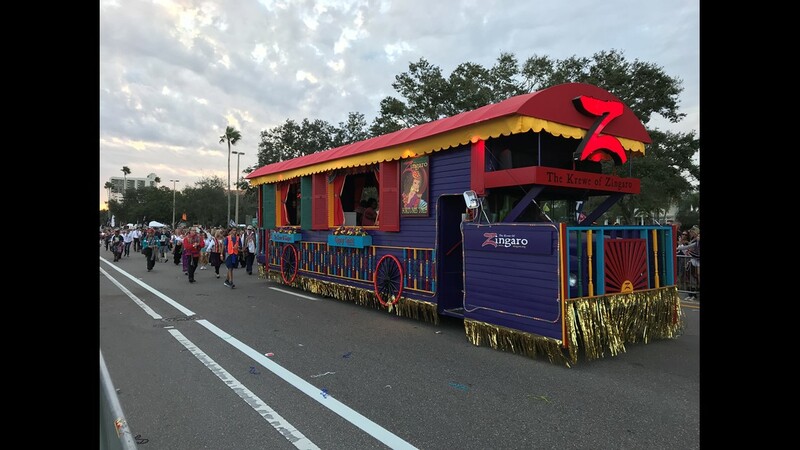 “During the day parade, there is alcohol, but we expect people to act responsibly. If you start infringing upon other people’s fun time, you’re probably going to hear from a police officer.